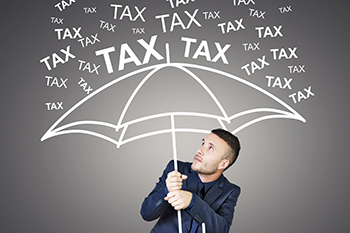 It’s income tax filing season and all salaried and self-employed individuals who come under the tax bracket would have already filed their IT returns or are in the process of filing their returns or are contemplating filing their returns before the due date (31 July). It’s income tax filing season and all salaried and self-employed individuals who come under the tax bracket would have already filed their IT returns or are in the process of filing their returns or are contemplating filing their returns before the due date (31 July). Today, one can file returns online, which is most convenient mode of filing IT returns. So, for those who still file their returns the old-fashioned way, here is a simple guide on how to go about filing IT returns online. There are various online tax filing portals that facilitate online filing of IT returns. Some of the popular ones include, taxsmile.com, taxspanner.com. taxshax.com, cleartax.in, taxmantra.com, incometaxindia.gov.in, and many more. These portals offer various packages that provide value-added services to taxpayers for e-filing of IT returns, but if a person does not wish to avail any of these packages, there is no charge involved. The packages offered range from the most basic to the premium, and the charges range from Rs 200 to Rs 1000. The value-added services offered include submission of ITR-V, tracking of tax refund, vault for e-documents, post filing support, tax history, etc. All the services may be charged separately or may be part of a comprehensive package. The process of filing online returns is quite easy, simple and hassle-free. Taxpayers can file their tax return part manual and part online or fully online. For filing IT return fully online, you need to have digital signature, which can be obtained from online portals such as emudhradigital.com, dsignsoftech.com, digitalsignatureindia.com, etc. Once you have digital signature, you have to fill up the ITR-1 online, make an xml file and submit it with along with your digital signature. Once this is done, an acknowledgment is generated, which is a proof of filing the IT return. However, if you do not have a digital signature, you can file the return part manual and part online. In this method, the taxpayer has to fill up ITR-1 and submit it online to the IT department through the IT department portal or through private portals. Once this is done, the IT department will send you an email with ITR-V as an attachment within 3-6 working days. Take a printout of ITR-V, sign at specified place and then submit it to the local IT ward office or mail it through ordinary post or Speed post to IT department’s CPC office in Bangalore within 120 days of filing IT return. The IT department will then send you an email acknowledging the receipt of ITR-V. With this, your IT return filing is complete. You will receive refund of any excess tax paid by you within two-three months, along with interest thereon.